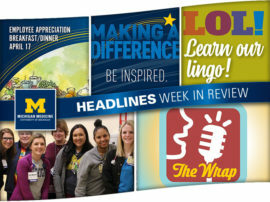 Are you ready for a “special” edition of Learn Our Lingo? 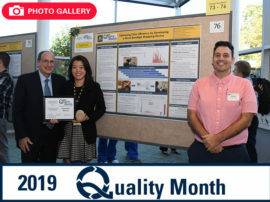 This month, Headlines is taking a closer look at just a sampling of the many medical specialties within the organization that are often referred to by an acronym. 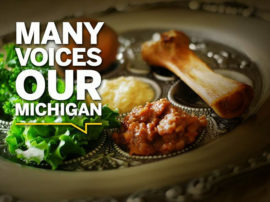 So check out the list below and become more specialized in your knowledge of Michigan Medicine! CHD: Congenital Heart Disease. Michigan Medicine has a Congenital Heart Center, which is made up of experts dedicated to treating heart abnormalities that are present at birth. CVD: Cardiovascular Disease. Many of these experts are housed in the Frankel Cardiovascular Center and treat a wide-range of heart conditions, including cardiac arrest, arrhythmia, high blood pressure and more. ENT: Ear, Nose and Throat. The name of this medical field is fairly self-explanatory. This specialty treats and monitors conditions related to the ear, nose, throat and related areas within the head and neck. At Michigan Medicine, ENT falls under the Department of Otolaryngology. GI: GI is a field that treats all parts of the digestive system and its related disorders. It can also be referred to by the acronym GE, however, GI comes from the shortened version of “gastrointestinal,” as that is the tract most commonly treated by these specialists. GM: General Medicine. At Michigan Medicine, general medicine is the largest division within the Department of Internal Medicine (see below for more on IM). These team members work to prevent, diagnose and treat any and all diseases in adult patients. HEM-ONC: Hematology oncology. A hematologist-oncologist is an expert in blood diseases and cancers. This can include lymphoma, leukemia and sickle-cell diseases. IM: Internal Medicine. The Department of Internal Medicine is made up of experts in a wide-range of diseases in adult patients. However, internists – as these physicians are called – may be more specialized in certain diseases or conditions than those in general medicine. IPE: Infection Prevention & Epidemiology. The IPE team is dedicated to protecting patients, families and staff members from the spread of diseases within the academic medical center. They do so through initiatives such as hand hygiene compliance and policies related to the flu vaccination. MEND: Metabolism, endocrinology and diabetes. The MEND clinic at Michigan Medicine offers inpatient and outpatient services in the general area of endocrine and metabolic disorders including diabetes mellitus, osteoporosis, pituitary diseases, thyroid diseases, adrenal diseases, abnormalities in the reproductive axis, obesity and hyperlipidemia. Ob/gyn: Obstetrics and gynecology. Obstetrics is a specialty that treats patients going through pregnancy, childbirth and the postpartum time frame. Gynecology, meanwhile, covers all health issues related to the female reproductive system. PM&R: Physical Medicine and Rehabilitation. The PM&R team provides non-surgical care to patients of every age and ability. Whether it’s physical therapy to help an athlete get back on the field or occupational or recreational therapy for patients patient recovering from a stroke, the work is a vital part of an individual’s health care journey. Learn more about PM&R by clicking here. RAD-ONC: Radiation oncology. A specialty that provides all levels of radiation services to patients with cancer. These team members are housed both at the academic medical center and in ambulatory clinics across the state. That was a lot to keep track of! 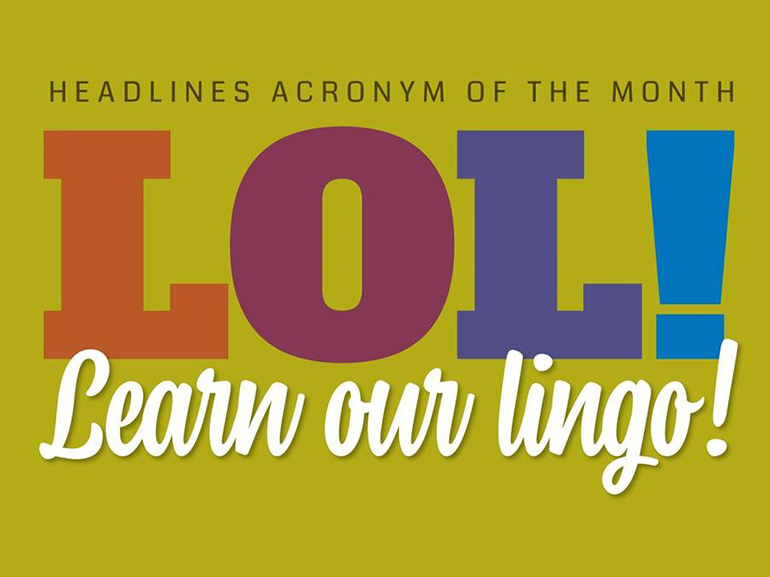 Fortunately, all of these acronyms, along with previous ones published in Headlines are available in the Learn Our Lingo archive.